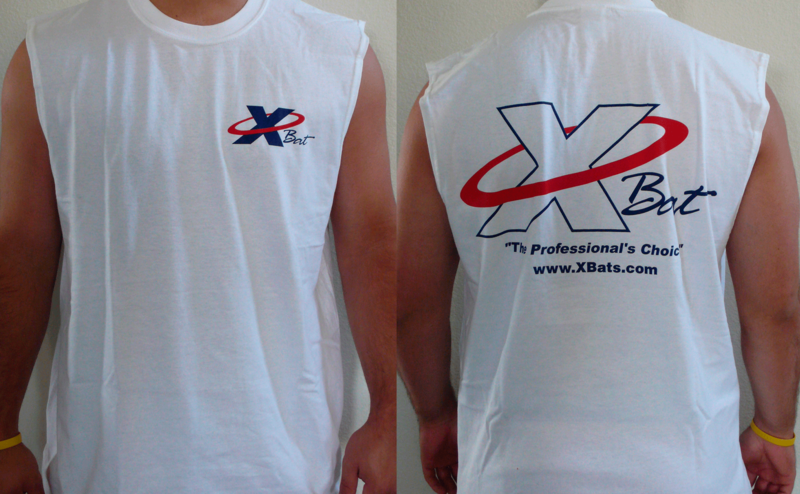 Look sharp in your X Bat t-shirts-sleeveless, short sleeve and long sleeve in White, Black, Navy, Grey and Red. We also offer camo shirts in arctic, desert and jungle camo colors. 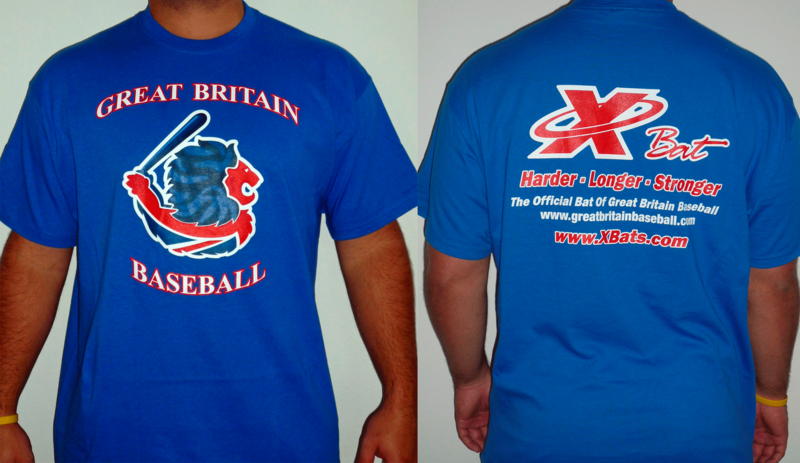 As long time sponsors of the US Military All Star team and the National Teams of Spain and Great Britain, X Bats is proud to feature practice shirts for each team. 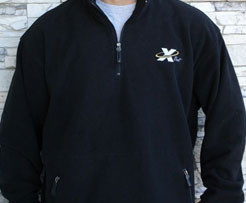 In addition, there is a warm ¼ zip fleece hitting jacket with two front pouch pockets for those early morning sessions. X Bats is a proud sponsor of the Spanish National Team. 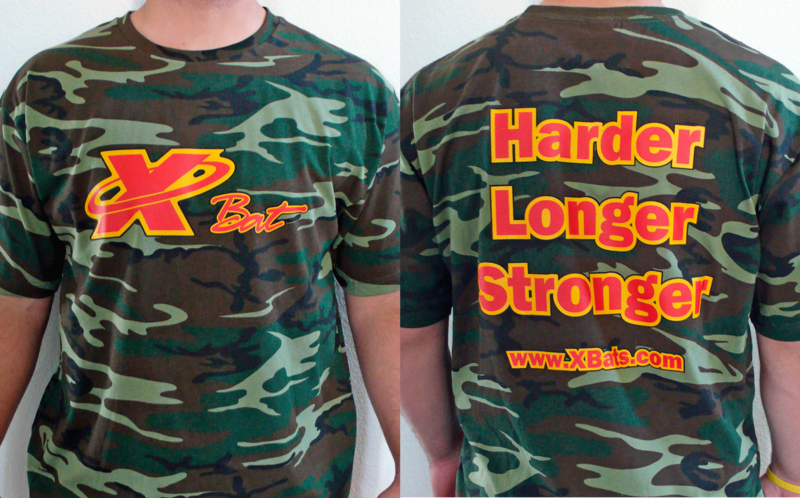 Sleeveless hitting T-shirt with X Bats stylized "Old School" logo on the front, and "Longer, Stronger, Harder" on the back. 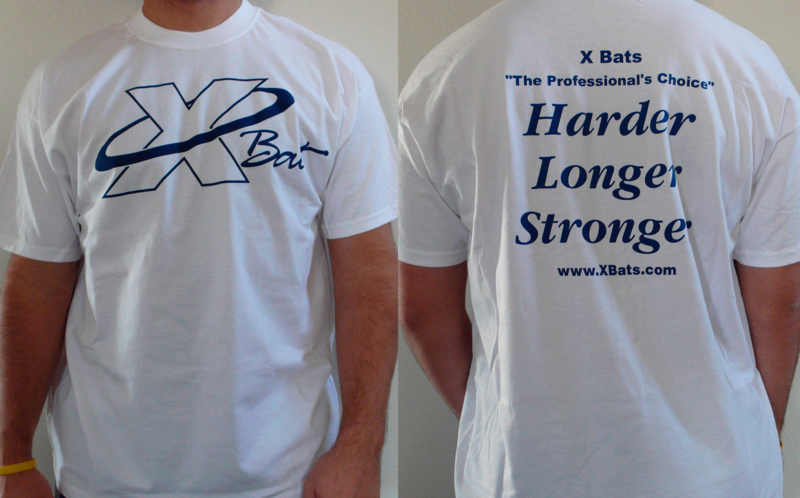 Short sleeve T-shirt with X BATS logo on the front, and "Longer, Stronger, Harder" on the back. Available in Black, Navy, White, Red and Gray. 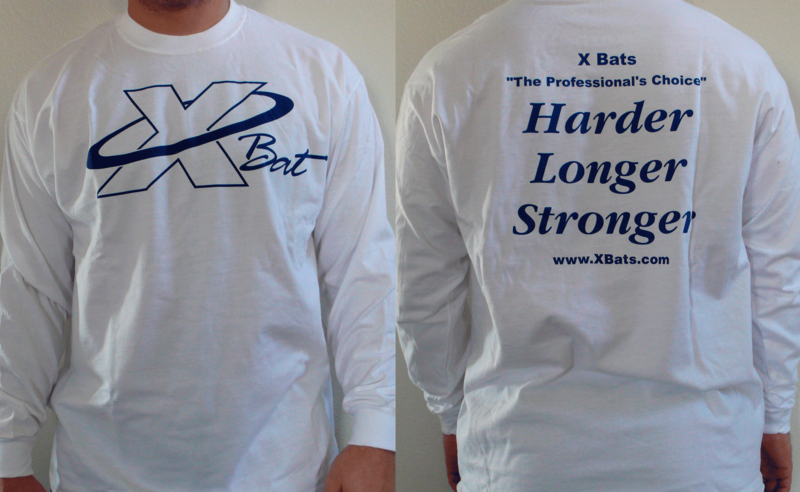 Long sleeve with X BATS logo on the front, and "Longer, Stronger, Harder" on the back. Available in Black, Navy, White, Red and Gray. X Bats is proud to sponsor the US Military All-Stars. In support of our young men who serve our country, we are offering X Bat tees in Jungle camo, Desert camo and Arctic camo. 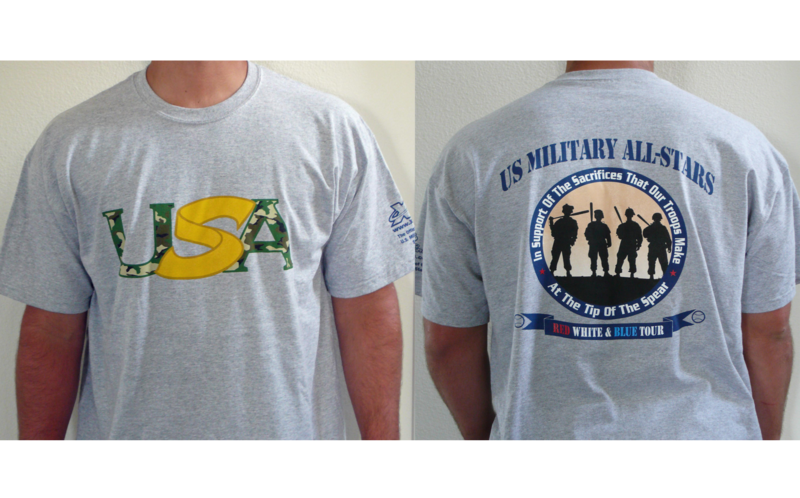 All proceeds are used to support baseball in the armed forces. X Bats is proud to sponsor the US Military All-Stars.